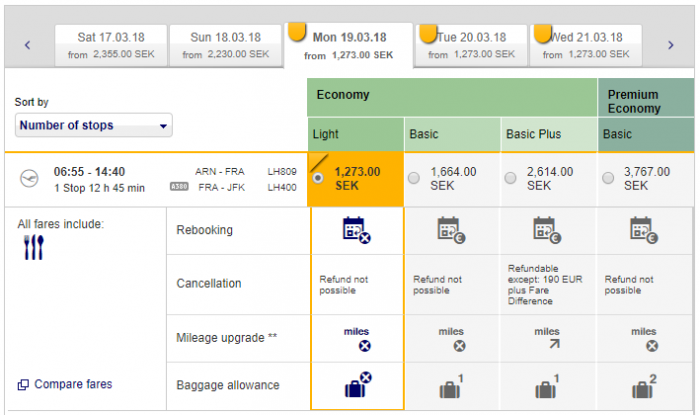 Today’s Airfare of the Day goes to Lufthansa midweek second level super/special advanced purchase excursion fares for round trip travel between Stockholm and New York City. The following accruals were estimated for ARN-MUC-JFK round trip travel on LH operated flights without considering any elite status bonuses or ongoing promotions. Cheap tickets, but with zero flexibility and almost inexistent mileage accruals, but at least Star Alliance Gold benefits would apply.